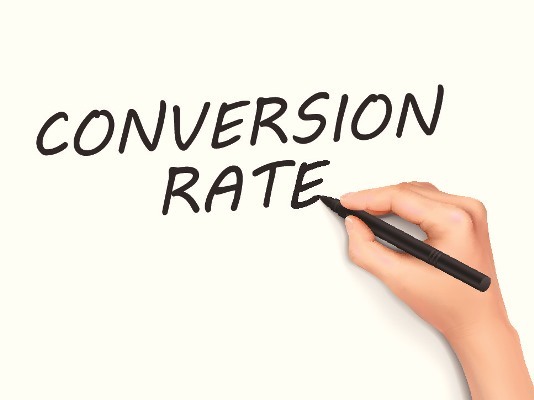 As a small business owner, you recognize that lead conversion is important. In fact, you’re probably using a number of methods for tracking phone leads. Are any of these methods giving you the answers you’re seeking? When you get a call about your services, you’re obviously delighted, but wouldn’t it be nice to know how the caller got to you? Was it via Google or through another channel? You know you need leads, but how do you track them? Tracking phone leads will help you improve the quality of your marketing strategy; you can focus your efforts on the channels that are most popular with potential customers, and increase your conversion numbers significantly. Using the right tools for the job will save you from spending too much money on tracking techniques that aren’t working for you. Keep reading to learn more about how to increase lead conversion by tracking phone leads. If you’re not seeing the lead conversions you believe you should see, perhaps it’s time to examine your methods. One of the biggest mistakes marketing professionals make is failing to follow through on their leads. With that in mind, automating your system to convert leads can be very beneficial. A system that will arm you with information about where and how the client came to find your information will only improve your lead conversion. If you’ve got the data that proves that the lead is a good one before you even call, you’re far more likely to actually follow through. You don’t feel like you’re wasting your time OR the potential client’s time. Enter CallRail. This software will help you optimize your marketing campaign, increase the effectiveness of your advertising, and increase your lead conversion. Learn What’s Driving Calls— When you’re using a variety of platforms to advertise your business (as you should), how do you know what’s working? Is it your paid Google ad or the Facebook ads? Your advertised Tweets or your direct mailer? CallRail will tell you what’s succeeding and what’s not with their visitor and keyword-level tracking, dynamic number insertion, and campaign-level call tracking. Real-Time Analytics— You’ll get a record of who’s calling you and when they call. This is particularly helpful if you’re concerned you’re missing out on phone calls. (For example, we had a client who started using CallRail and learned that most of their calls were being forwarded to voicemail. The callers would hang up and call a competitor!) Additionally, you will have a map of what pages users visit on your website prior to calling you as well as the action that was taken after their call. You’ll know what’s most effective on your own website as well as which marketing strategies work best. Individualized Phone Numbers Tailored To Each Campaign— CallRail will give you a phone number that’s specifically tied to a particular campaign. When that number’s used, you’ll instantly know how the caller got to you. You can utilize local numbers, toll-free numbers, or even port your existing numbers into CallRail. Regardless of the option you choose, it will be ready for calls immediately. No wait time. Increase your leads, as you’ll know who’s calling and when they called. No more missed opportunities. Simplify your analytics by using individual phone numbers for each campaign. Incorporating phone call tracking will increase and improve your lead conversion rate without requiring a lot of extra time, effort, or cash from you. Continue fine-tuning your marketing strategy with techniques such as tracking phone calls, and you’ll have a customer base of which you can be proud.